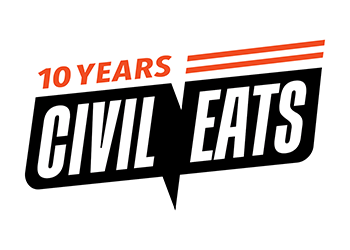 Civil Eats and 18 Reasons announced it will begin a regular series of live conversations, Kitchen Table Talks, at Linden Tree in San Francisco. The purpose of Kitchen Table Talks is to build a coalition of stakeholders from all segments of society who come together to develop relationships, exchange knowledge and ideas and leave with specific actions they can implement to make meaningful improvements in our food system. At each meeting, participants will be introduced to a different non-profit organization that focuses on one facet of the sustainable food system. The presentation will be followed by an open forum, allowing guests to ask the presenter questions and discuss recent food news, pending legislation and opportunities to get active in the sustainable food community. 18 Reasons, part of the Bi-Rite Family of Businesses, was created as a way to give back to the neighborhood that has contributed to and supported Bi-Rite over the years. It’s a space to come together, engage with the people who feed us, view work by local artists, and learn about what we eat and why. As a non-profit community space, it is supported by individual memberships, Bi-Rite Market, and other neighborhood businesses. Linden Tree was conceived in late 2003 as an opportunity for a group of friends and associates to share with each other what they were most enthused about in their respective creative realms. Using what was the new Sagan Piechota Architecture space on Linden Street as a venue, the original group of approximately 25 design/creative types came together and agreed that a monthly gathering would be desirable. For the past three years, a fabulous and diverse variety of individuals have shared with this growing community their work, process and ideas in an open and casual and engaging format which has proven to be stimulation and inspiring. Painters, writers, musicians, architects, industrial designers, printmakers, sculptors, glass artists, coffee roasters are a sampling of past presentations. The first Kitchen Table Talks will be held on Tuesday, May 19 from 6:30 – 8:00 p.m. at Linden Tree, 315 Linden Street, San Francisco. Elanor Starmer, Research Analyst for the food program at Food and Water Watch, will present a primer on the new food administration: a who’s who at the USDA and how their decisions affect each of us. Food and Water Watch is a non-profit consumer organization that works to ensure clean water and safe food. It works with grassroots organizations around the world to create an economically and environmentally viable future. Kitchen Table Talks organizers request a $10 donation to go towards administrative costs. However, no one will be turned away for lack of funds. Sustainable, local refreshments will be provided but space is limited. To reserve your seat, please email Layla Azimi at layla_azimi@yahoo.com or leave a message at 925.785.0713. For those who cannot attend, a summary of the evening’s discussion will be found on this site. The collaborators of Kitchen Table Talks hope to engage all communities – healthcare, legislative, restaurants/chefs, NGOs, citizens and so forth to extend the conversation beyond one evening. Kitchen Table Talks strives to be an open forum for all people to discuss the issues facing our food system. How can those of us in faraway lands, e.g., Vermont, participate in these important conversations?